Post-Traumatic Stress Disorder (PTSD) affects millions of individuals every year. If not properly treated, it can even be life threatening to the individual and those around them. June was Post-Traumatic Stress Disorder month. While congress and other VA programs have made great strides in bringing national attention to those with PTSD, there are a number of things that you can do to increase its awareness. In order to help those affected by PTSD, you’ll want to better understand it first. Post-Traumatic Stress Disorder typically develops after a frightening occurrence in a person’s life. Whether the event included physical harm or the threat of violence to the individual or a loved one, the repercussions from witnessing such terror can be life altering. If you’ve ever been in danger, normal fear triggers are typically a fight or flight response to the occurrence. When it comes to PTSD, the reaction is typically damaged or altered. When a person is no longer experiencing that form of danger, people with PTSD may experience fear or stress. When a person relives the nightmare, memories, flashbacks and hallucinations can cause them distress if an occasion or instance reminded them of what happened. Anniversaries or date of the tragic event can also cause them to go through the ordeal again. Avoidance happens when the person involved stays away from a particular place or the people involved in the event. If help is not sought out, they may experience isolation and detachment from the people and things that they love. Excessive emotions can come in many forms that include alienating a partner or loved ones. They may also experience angry outbursts, sadness, mental confusion and depression. Children involved in PTSD may have issues in delayed development. Toilet training, learning, talking and walking can prove difficult for them. They may also be especially clingy to a parent or act out the issue during the course of play time. Not every individual who has experienced a tragic situation will develop PTSD. However, when the above symptoms last longer than a month and dramatically affects your life, it’s typically considered PTSD. It’s also time to seek the assistance of a medical professional. Whether you take part in group, cognitive, behavioral, exposure or family therapy, the various techniques can help in your recovery. Medications in the form of an antidepressant can also prove beneficial in overcoming PTSD. If you have PTSD, you can protect yourself by wearing a medical ID bracelet. In the event that you have an episode, become unsure of your surroundings, or you’re unable to speak on your own, the bracelet can act as an alert to the responders. Congress has designated the month of June as Post-Traumatic Stress Disorder month, with June 27th PTSD Day. The purpose of the special designation is to increase awareness. 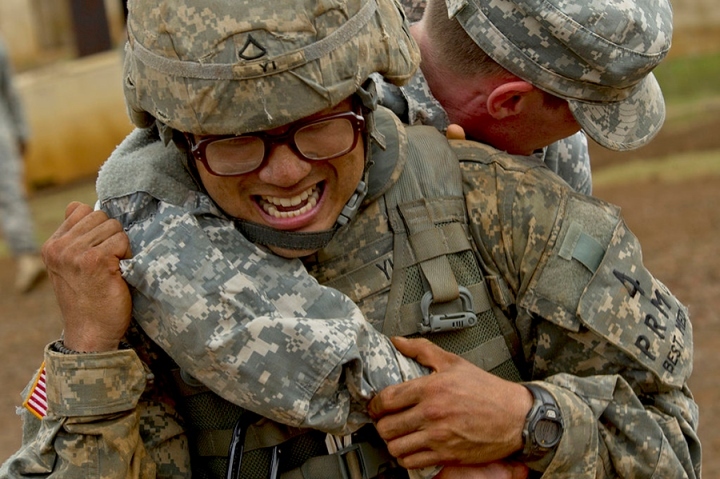 You can make a difference by learning more about PTSD, and its effects. Having a greater awareness will help all those affected by it recognize the symptoms and find the best resources to assist them. Exploring the various treatment options that are available to those with PTSD can better manage the symptoms. You can also get involved in your own campaign to help individuals with PTSD. The Wounded Warrior Project or your local VA are in need of people to support their causes. Whether you host your own fundraising campaign such as a running event, golf tournament or concert, the proceeds raised can make a difference in the lives of people affected by PTSD. LPN State of Georgia LPN Diploma North Georgia Technical College I am currently working as an LPN and as Social Services Director at a Skilled Nursing Facility and Inpatient Rehabilitation Center and have been employed at the facility for seven years. My clinical experience has been concentrated on geriatric and end of life care. I enjoy caring for others and work as an advocate for elderly and patient rights. I also work regularly with management of behaviors and the Antipsychotic Quality Initiative to reduce undiagnosed and unnecessary antipsychotic medication use in the Geriatric population. Presently, I am working toward the completion of my nursing education and attend North Georgia Technical College where I anticipate receive my Associates of Science in Nursing in 2016. I also work part-time as a blogger for naturalnews.com and peaknootropics.com, where I write about a variety of health and wellness topics. I have three wonderful children that I enjoy taking care of and spending time with whenever I can. In my free time, I enjoy working out at the gym, shopping, and going to see movies. I also enjoy attending my church and participating in church activities. Since we just celebrated the 4th of July, this issue hits home for many of us who have relatives that serve. Thanks for the info.